Gingerich Clean Burn is the exclusive Authorized Clean Burn Distributor for Ohio, Indiana, & Western Pennsylvania. 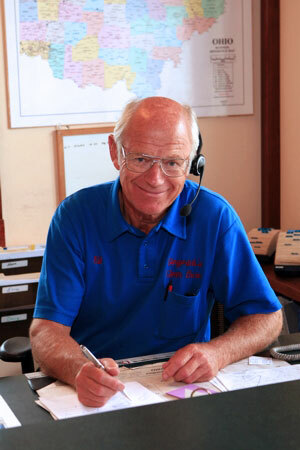 Sales, service, and installation of waste oil heating systems is all we do here at Gingerich Clean Burn. With Clean Burn® Authorized Service, Clean Burn® OEM parts and professional Installation Technicians on staff – prompt and reliable service is always just a phone call away. We represent Clean Burn throughout all of Ohio, Indiana, & Western Pennsylvania, and we welcome the opportunity to serve you. If you have someone that is taking good care of your furnace and are happy with it, then stay with them. But if you’re looking for better service for your waste oil heater or boiler, or even a new Clean Burn, we can help. Each Clean Burn service truck in Gingerich Clean Burn‘s fleet is fully stocked with OEM furnace and boiler parts and equipment so your heating system can be fixed correctly on the first stop. We work hard at Gingerich Clean Burn to earn our customer’s confidence and trust. We have 10 Service Locations to help provide the best possible customer support for Clean Burn waste oil furnaces, boilers and waste oil recycling centers. Gingerich Clean Burn‘s commitment to service has made us the leading Waste Oil Furnace Distributor in Ohio, Indiana, & Western Pennsylvania. For you do it yourselfers we have a technician available to help trouble shoot over the phone and to ship you the right part, parts ordered by 3:00 PM will be shipped UPS the same day most of our service area will receive parts in 1 business day. We have been selling, installing, and servicing Clean Burn waste oil furnaces and boilers in Ohio since 1981. Gingerich Clean Burn is family owned and operated. Ed Gingerich (pictured right), had a used oil hauling business in the late 70s when he came across a Lancaster, PA company that had developed a new furnace to burn and recycle waste oil cleanly. What a great idea! Instead of risking spills hauling used oil over the road, have the generator of the used oil get the benefit of free heat. He bought his first two furnaces and began to sell, install, and service them. Now, with over 5,400 units sold, we operate the same way.